Notwithstanding with the fact that tax return filling of the GST falls today , the July 20, the state government of Manipur had issued an order to shut down all internet service providers for 5 days starting today. 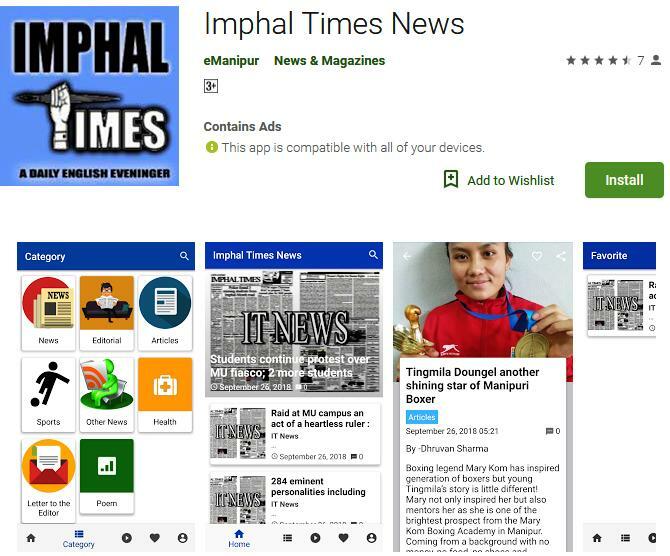 In an order issued by the Home Department of the Government of Manipur, the banned of internet service is being issued to stop spread of disinformation and false rumours, through various social networking media platform such as Whatsapp, Facebook etc. on mobile phone. The order also mention that the banned on internet is being taken up after receiving report of anti-social elements using social media extensively for transmission of hate video message inciting the passion of the Public. Coincidentally July 20, that is today falls as the last date for filling of the tax return file for Goods and Services Tax (GST) which was introduced by the Prime Minister of India. Filling of GST is dependent on Internet service and a delay of one day in filling the tax return cost Rs. 50 as fine to the consumer. 5 days of delay will cost Rs. 250 per tax payer and no wander, if the government have any measures to assure that the tax payer did not have to bear the burden of paying fine due to the ban of Internet Service providers. Talking over phone, Superintendent of Taxation, Indrakumar said that as of now he cannot make any comments on regarding the lost of tax payers. “Tax return filling is open till midnight today and it will be after crossing the dateline that estimation could only be made”, Indrakumar said. He further added that as of now BSNL Broad Band service is working so filing can be done at the Taxation office located at the former Guwahati High Court Complex. “What about those who file the tax return by using Internet service other than BSNL Broad Band?”, asked Premchand a local small time businessman told this reporter. He said, “I only learnt to file the GST tax return some few days back and I was trying to do it myself but due to the shutting down of the internet service, I will not be able to do it. May be I will have to wait for five days and pay the fine”, Premchand added. Renown Economist Prof. Amar Yumnam while talking to this reporter said that it is not only the GST that is going to affect by the banning of the internet service. He said that internet has become a medium of today’s contemporary world. “ How could we continue the professional life if the medium has been sabotage”, Prof. Amar said. “Every day we communicated through internet either for official proposes personnel business among others. On being asked if there will be any lost with the banning of the internet, Prof. Amar Yumnam said that around Rs. 5 crore transaction has been made incontinences every day. Prof. MC Arun another renown academician from the Manipur University while talking to this reporter said that when today’s contemporary world has been completely made dependent to internet it is not wise for the government to ban the internet service. “It is right some anti-social element are spreading rumours to breach the tranquillity of the state but considering the fact that many people still rely on internet not because of the social networking site being used”, Prof. Arun added. He added that whole sort of transaction including banking are done through internet, and if the government think that internet is creating trouble in the state just because some people incite hate speech at some of the social networking site, why don’t they put a ban on “Kitchen knife”. “Kitchen knife which is essential in our day today life but it can also be used for murder of a person, Should the government banned the Kitchen knife”, Prof. MC Arun said. Its complete mess, even broadband is fluctuating, really too much. All business in chaos..
From when internet access will be available to these Manipuri people? ?